Theatre seasons of the last century in which the National Theatre produced none of Shakespeare’s plays are few and far apart. 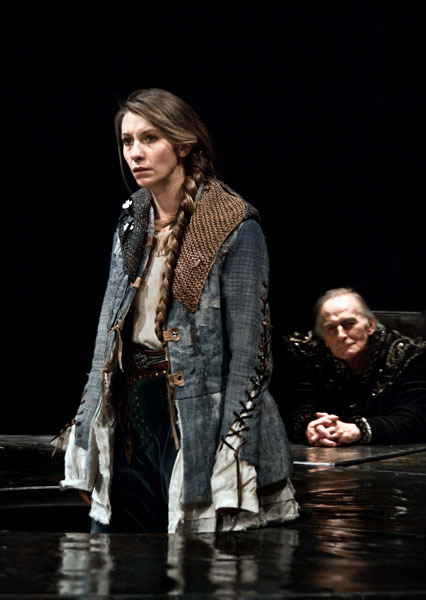 The fact proves that Shakespeare was the most favourite bard of the National Theatre, its ensemble and audience, throughout the long and, above all, very turbulent century. 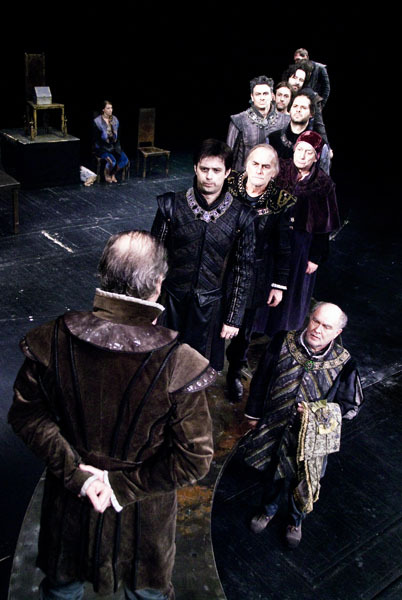 In the midst of enormous social changes and huge technical development, in the midst of turmoil, wars, rebellions, revolutions, fights for freedom, and in spite of all the literature and theatre trends, and a permanent sequence of generations within the audience, Shakespeare has been and still is one of the everlasting values and his popularity grew as the time passed by. 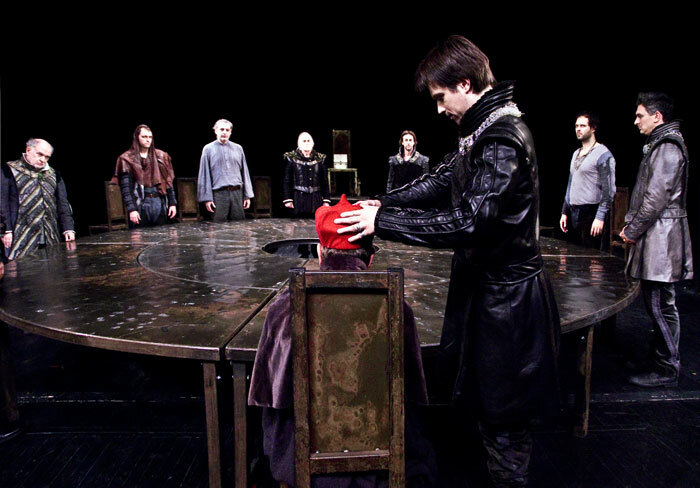 In the last century, twenty-three pieces written by Shakespeare were staged at the National Theatre in Belgrade (almost two-thirds of his entire opus), from which nineteen in Serbian, two in English, only two fragmentary (one in Serbian and one in English). 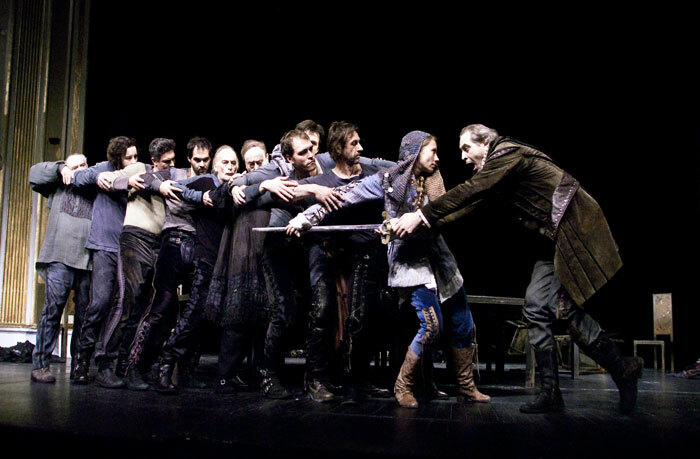 Around twenty national and international ensembles toured the Theatre with Shakespeare’s plays, more than 800 performances (to be precise 831) were presented and 50 premieres were given, which means that every two years the National Theatre produced a play and nearly every three years, there was a premiere in the production of a theatre on tour. 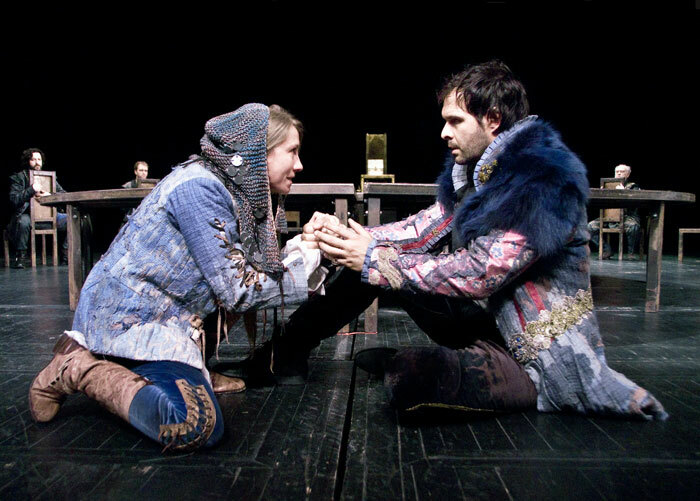 Apart from Serbian, Shakespeare was performed on our stage in Italian, Russian, Slovenian and English languages; also, during the first decade of this century, several bilingual, namely Serbian-Russian and Serbian-Czech productions were staged. But that’s not all. 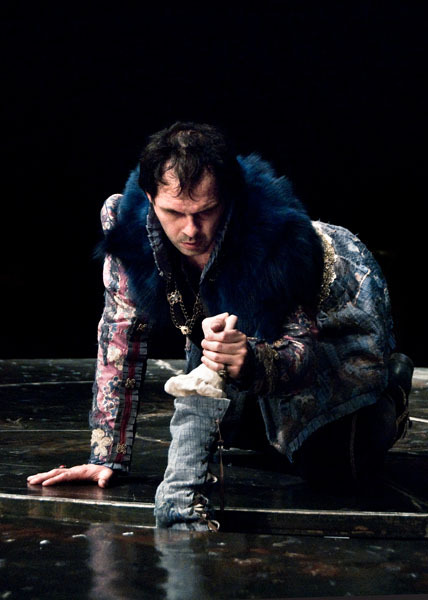 In the last century, Shakespeare is the writer who was performed most at the National Theatre’s stage, which is probably the unique case. 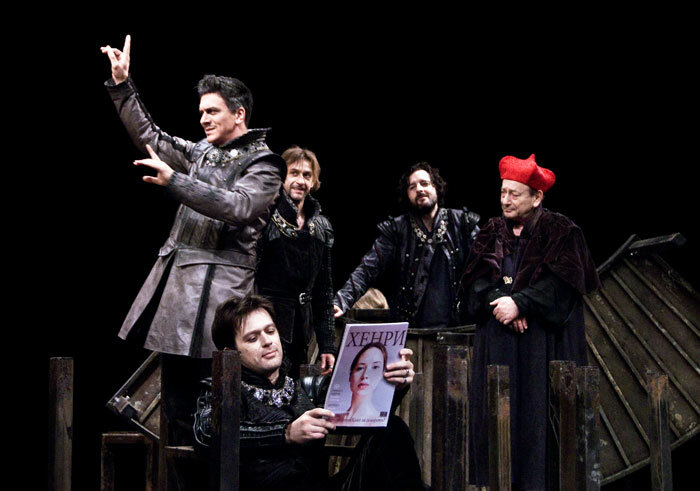 In addition, the fact is that the National Theatre in Belgrade was, in a way, promoted with Shakespeare’s play. 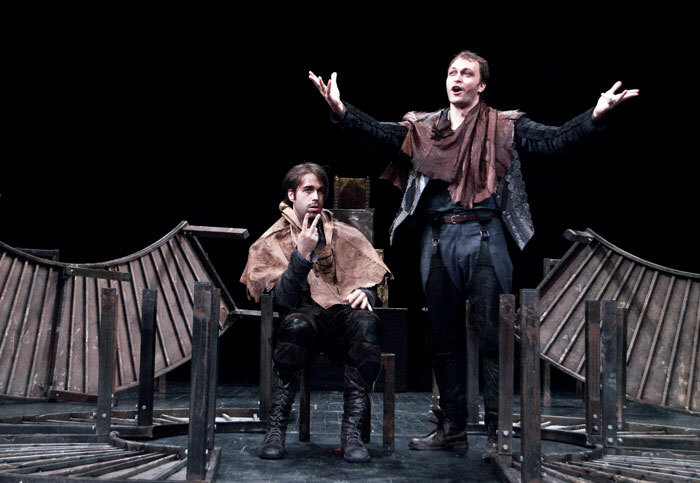 The Shakespeare’s play was presented in Belgrade and inner Serbia for the first time, just a year after the theatre ensemble was established, and only twenty days after the opening of a new theatre building. 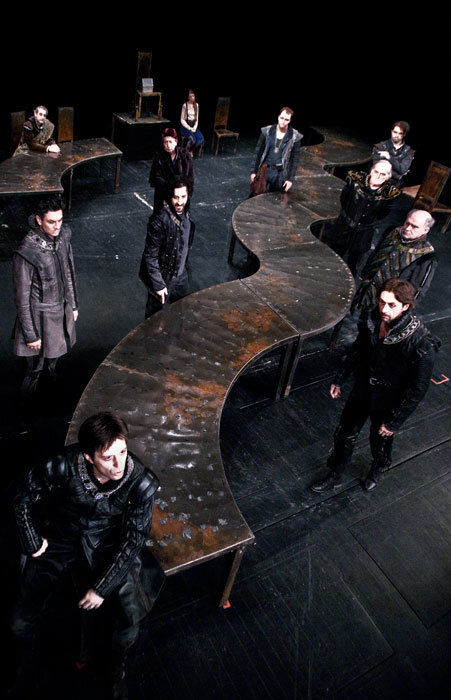 Thus, Shakespeare’s play was produced on National Theatre’s stage quite early, as soon as historical circumstances allowed it. 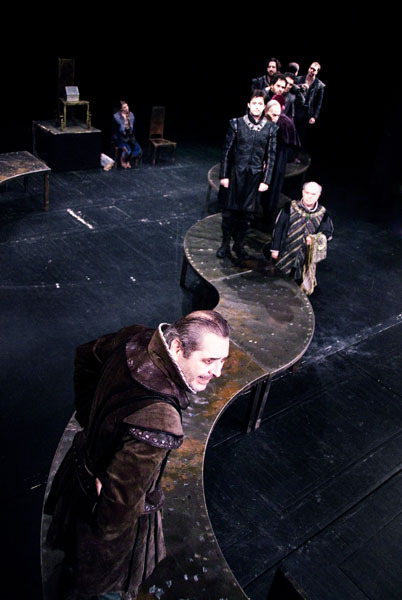 The National Theatre is one of those theatres that have never staged an adaptation of Shakespeare’s plays, instead, there were always more or less shorter versions of the original text. 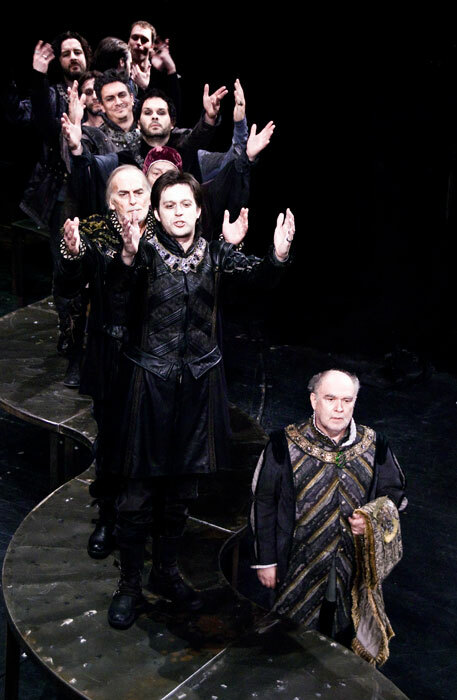 Two adaptations that were presented in Belgrade earlier on were not performed at the National Theatre. 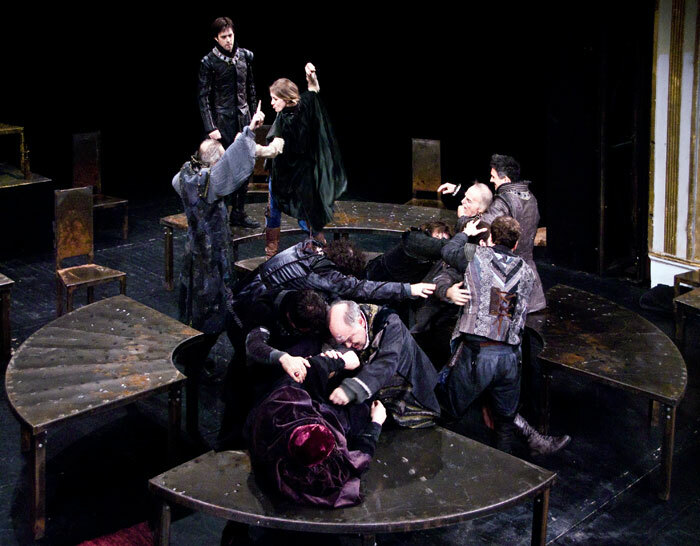 At the time when the first staging of a Shakespeare’s play took place at the National Theatre, Belgrade was predominantly an oriental town with approximately twenty thousands inhabitants. 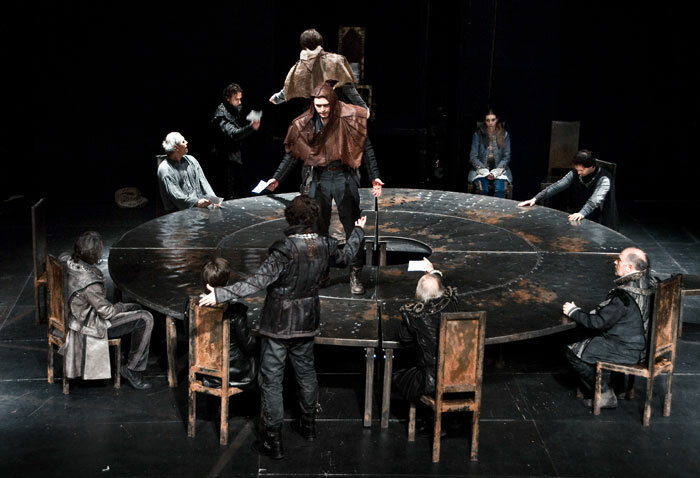 Figuratively speaking, the “white city” welcome Shakespeare with Serbian national instrument gusle, translations of his plays in the decasyllables and the people who found pleasure in their hard-won freedom, national history and theatre. 23rd April 1564 Shakespeare was born in Stratford-upon-Avon. 1582 William Shakespeare married Anne Hathaway. 1583 Their daughter Susana was born. 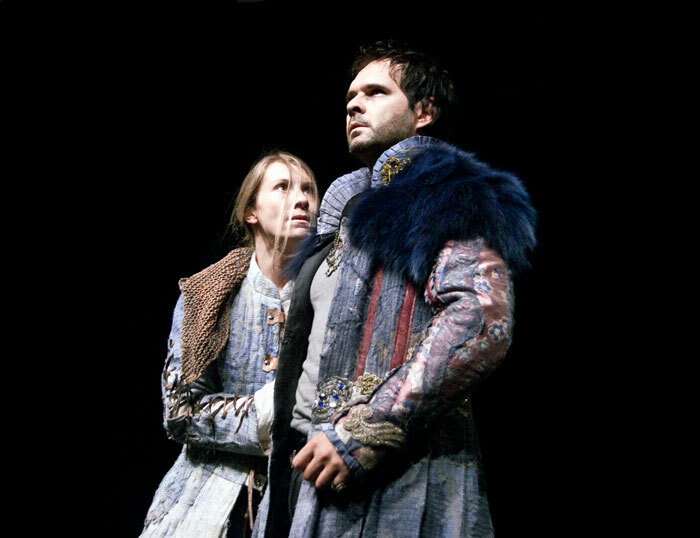 1585 wins Hamnet and Judith born. William Shakespeare leaves for London. 1595-96. ROMEO AND JULIET, KING RICHARD II and A MIDSUMMER NIGHT’S DREAM. His only son Hamnet dies at the age of 11. 1596-97 Shakespeare writes KING JOHN, THE MERCHANT OF VENICE. He purchases New Palace in Stratford. 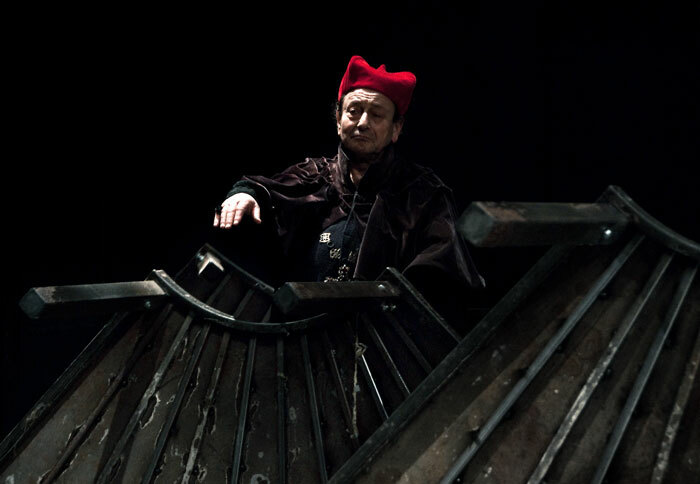 1597-98 Shakespeare writes HENRY IV (Part One), HENRY IV (Part Two) and performs in Every man in his humour by Ben Johnson, at “The Curtain” Theatre. 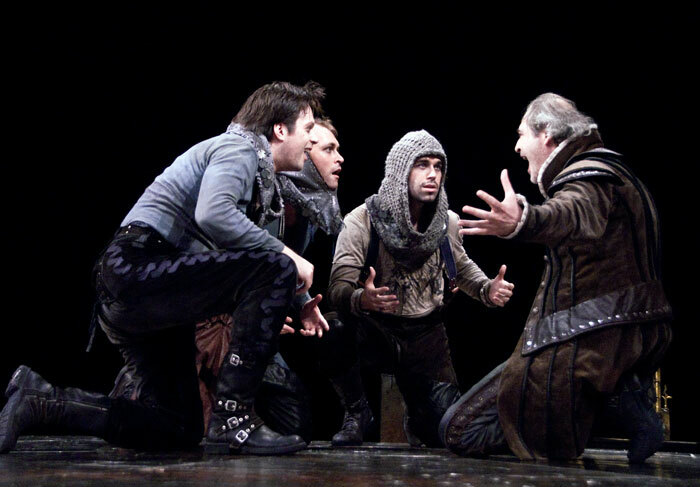 1598-99 Shakespeare writes MUCH ADO ABOUT NOTHING, HENRY V, THE MERRY WIVES OF WINDSOR. 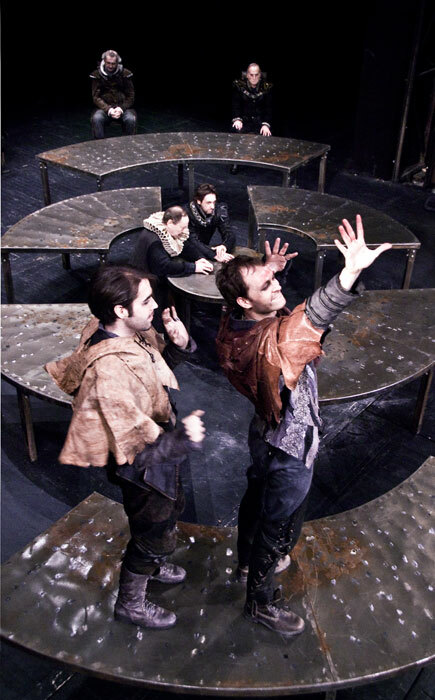 ”The Theatre” in Shoreditch was pulled down, rebuilt and opened again in Southwark by James Burbage under the name “The Globe”, seating the audience of 1200. Shakespeare was a co-owner with 1/10 of share. 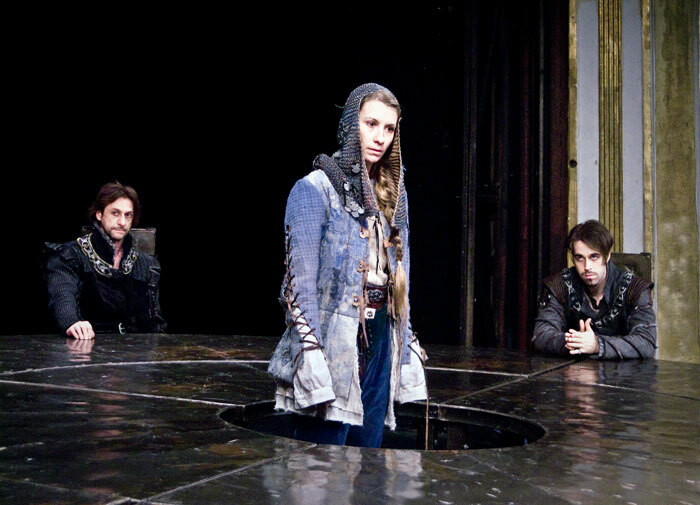 1607-08 Shakespeare writes CORIOLANUS. He was one of the founders of Blackfriars Theatre. 23rd April 1616 Shakespeare died of fever, after partying with Ben Johnson and Michael Drayton. Milivojević wrote the script and directed the film Jelena, Katarina, Marija, based on the novel New York – Belgrade by D. Miklja. He was a director of the Bitef Theatre and BITEF festival in period 2005-2009. 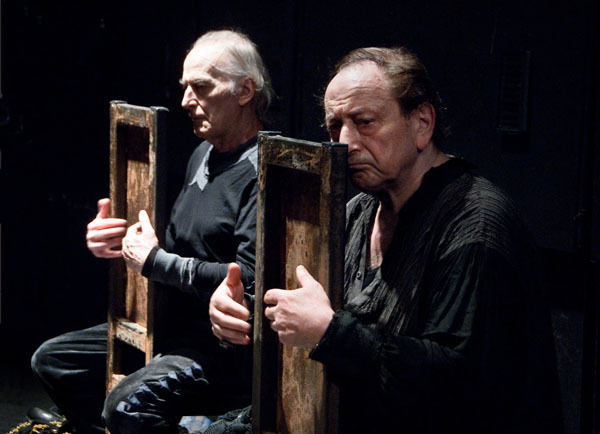 Since 2009, Milivojević has been working as a professor at the Academy of Arts in Novi Sad, Department of Acting/Directing. Milivojević lives and works in Belgrade. She graduated from The Laban School for Movement and Dance in London. Since graduating she has been living and working in Greece. From 1993 till 2008 she worked as a dancer and assistant to the choreographer Kostandinos Rigos. Since 2000 Amalia has been working as a freelance choreographer in the theatre in productions mainly for the National Theatre in Thessaloniki and Athens. Amalia has been collaborating with director Nikita Milivoјević since 2002. He is a greek music composer and producer who lives in Athens. Since 2003 he has been collaborating with the choreographer/director Konstantinos Rigos and Oktana dancetheatre. 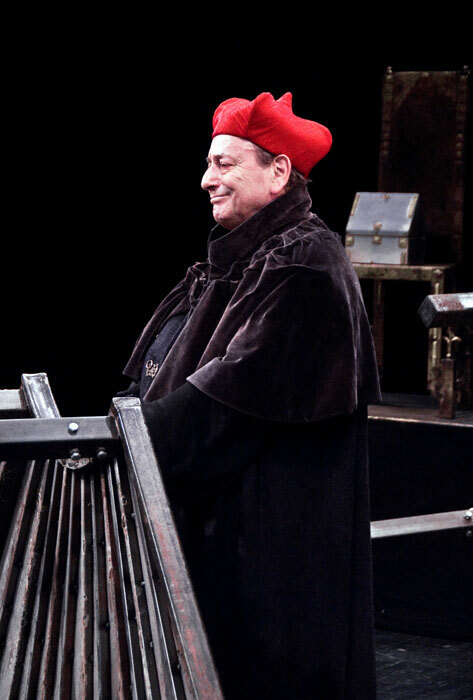 He has composed music for many dancetheatre and theatre performances for organizations such as the National theatre, the Athens and Thessaloniki Concert Halls, Onassis Cultural Center, the National Theatre of Northern Greece, the Athens-Epidaurus Festival and the Michalis Cacoyiannis Foundation. He has also composed music for exhibitions, installations, video art. He composed the music for the greek attendance at the EXPO 2008 contest, in Paris. Since december 2010 he is collaborating with Costas Voyiatzis and Yatzer.com as a video director and video editor.